Gold Coin on Spot Booking...!! Aryan Business Ventures Pvt. Ltd. True to its name, Duville Riverdale Heights by Duville Estates, is at the center of all things good. This landmark property offers 1BHK and 2BHK apartments and also offers 2.5BHK (Combined 1BHK) and 4BHK (Combined 2BHK) apartments, located in Kharadi, Pune. The location gives the extraordinary advantage of close proximity to major education, health care, shopping, and entertainment centers. Each unit is designed with separate walls which enhance your private living. This lively neighborhood in Pune borders prominent localities and gives a home to everyone with value-for-money apartments. The complex is developed with an idea of providing natural living space with all the modern day facilities that are required for a contemporary lifestyle at affordable prices. Kharadi is in the suburb of Pune with many reputed IT giants and companies in various verticals. Pune's real estate arena is witnessing enormous construction activities as its property market has always been at the top of investment opportunity watch-list of the potential homebuyers looking for suitably priced complexes in Kharadi. This trend is also due to factors like improved infrastructure, good connectivity, availability of civic utilities and connectivity with all the public transit systems. These positive notions in the city have made it a preferable place to invest and reside in. In which area is Duville Riverdale Heights located?The project is situated in Kharadi, Pune.  What is available flat size in Duville Riverdale Heights? Flat sizes in the project range from 624.0 sqft to 1368.0 sqft. What is size of 1 bhk in Duville Riverdale Heights? The area of 1 BHK apartments ranges from 624.0 sqft to 664.0 sqft. What is the 2 bedroom size in Duville Riverdale Heights? 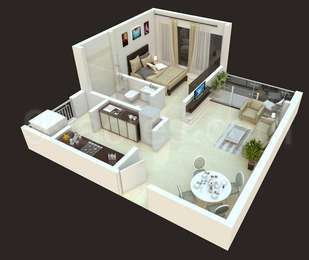 2 BHK units in the project are available in a size of 945.0 sqft to 1017.0 sqft. How much is the actual area of Duville Riverdale Heights?The area of the project is 9.04 Acres. I am looking to invest in Duville Riverdale Heights. Experts please suggest whether it will be a good option or not? Hi Suresh, I think you should hold your decision till the project gets completed. Duville Riverdale Heights is expected to get completed in Feb 2021 due to which nothing much can be said about the future potential. Still if you invest in Kharadi, it would be a good decision since there is an upcoming metro station which is major infrastructure project, bound to propel property prices here in the long run. You can even look at newly-completed projects as you will not have to pay 12% GST on them and the chances of good returns are pretty high. Before, investing in this project or any other one in Kharadi, consult a property expert to gauge the investment potential of the project and locality. I am looking to purchase 2 BHK apartment in Kharadi but I am not aware about the current property rates in this locality. I have heard about Duville Riverdale Heights project coming up here. Please tell me whether it will be a good option as safety is one of my topmost priorities. Also, please tell me about the legal approvals which the builder has got for this project. Hi Maninder, the average property rates currently faring in Kharadi is Rs. 5,440 - 6,248/sq. ft. You can also confirm about the same from a local property dealer. As safety is a topmost priority for you, I would like to mention here that the builder promises no dearth of safety features here. It will be a gated community with CCTV cameras will be installed at the main entrance as well as the entire complex. Security guards will be there to keep track of every outsider entering the project. Visitors will go through proper verification process. Video door phones will also be provided. Overall, these amenities seems to be promising at first sight. It is a RERA approved project and the RERA registration number is: P**********5.